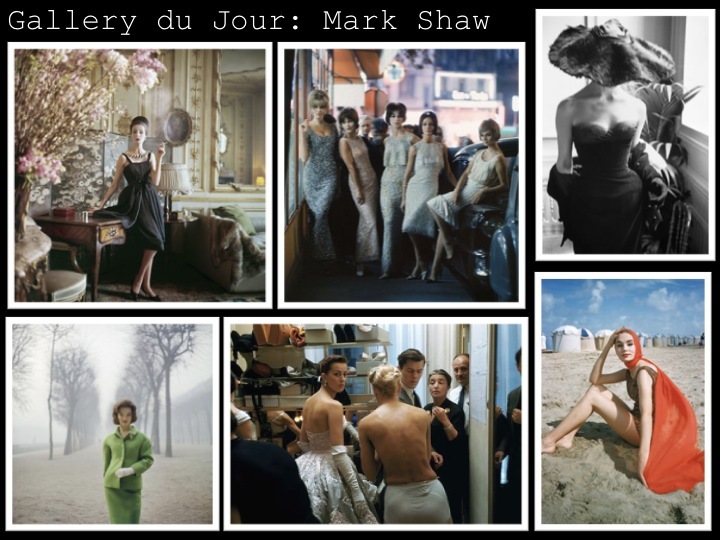 I'm crazy about vintage fashion photography, especially that of Mark Shaw. Best known for his family photos of the Kennedy's, Shaw also shot the European fashion collections for LIFE magazine during the 1950s and 1960s and was one of the first photographers to capture runway and backstage images in color. Recently, I was captivated by a large Mark Shaw photo from yesteryear of backstage at a Balenciaga runway show, which was in the Blogger's Closet room of the San Francisco Decorator Showcase. I'm set on getting a couple of these stunning images for my own home office, so now comes the hard part, deciding which one! Beautiful selection, I love the selection. Wow, these are truly stunning! Great photos! Love the one in the top middle! truly beautiful images, thanks so much for sharing! Wow, these are really gorgeous photos. I'm with you- I have a thing for vintage photos. Cute photos and blog, sweety. Wanna follow each other? The headless woman is quite interesting.